As the new year rolls around, you might be looking to change things up on your blog. Whether you’re hunting for the perfect blog design, creating a fresh editorial calendar, or designing a strategy for your social media promotions, you should be using your blog analytics to guide your decision-making. Why are analytics important? They give you insight into what’s working on your blog and what’s not. 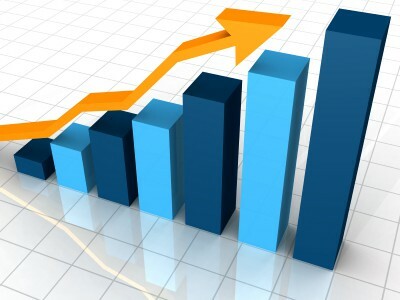 By monitoring them, you can benchmark your content’s success and figure out what’s needed to grow your blog even more. All of this is essential to eventually monetizing your blog—you need the numbers to back up your content to be considered for ad placements, sponsored posts or expenses-paid trips to conferences. Not familiar with how to navigate your analytics and use them to your advantage? Keep reading. I’ll be walking you through the basic metrics you should be measuring and how to start tracking them. The start of a new year is the perfect time to pick up a new skill that will help your blog grow and grow, so let’s get started! Not all numbers are equal. There isn’t an expansive checklist of blog metrics you must track because every blog has different goals. Because their goals could be different, two different blogs might be concerned with measuring two different metrics. For example, a food blogger like Paula from bell’alimento, a Channels Featured Publisher, might be more concerned with measuring traffic from Pinterest than a business blogger would because Pinterest is more aligned with her audience’s interests. The business blogger, on the other hand, might be more concerned with measuring the impact of LinkedIn on his or her blog’s success. While each of these bloggers in this example is interested in measuring traffic from social networks, the specific metrics they want to track are different. 1. Top trafficked posts: You should always be aware of what content is doing the best on your blog. Keeping track of the top 20 or so posts over time is key to discovering trends on what your readers want to see. Notice that shorter posts with photos are dominating your top 20? You’ve found your post structure sweet spot—your readers are speaking with their pageviews and social shares and they like what they see! Look for trends like these in your most popular posts to help guide your content. 2. 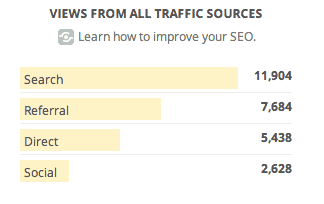 Traffic sources: With this report, you’ll be able to figure out where your traffic comes from. Is your traffic mainly driven by search engines, referrals (including other blogs, websites and social media), or by people going directly to your blog? You need to know where your traffic is coming from so you can optimize your posts to be more easily discovered by these sources. For example, if you saw that your posts were mainly found through search engines, you would want to continue to develop your SEO efforts for future posts. 3. New vs. returning visitors: If you’re spending a ton of time cranking out content you think is awesome, you want to make sure that you are reaching a solid reader base who thinks your posts are awesome, too. In your analytics, you can measure the percentage of new vs. returning visitors to get an idea of the type of people who check out your blog every day. For example, if you’re looking to develop a community around your posts, try optimizing your site for getting more repeat visitors. 4. Engagement: While it’s very important to measure the general traffic and reach of your blog posts to understand how well your content is doing, you should also be measuring the engagement of your posts. Measuring this is important because engagement shows that your readers are interested enough in your content to interact with it in some way—they comment on the post directly, share it with their friends, link to it in their own post or subscribe to your blog. To start measuring this, count the number of comments, shares, links back and blog subscribers. As you grow your blog’s reach and goals, you may want to adjust what you view as engagement, but these are great metrics to start out with. 1. Set measurable goals for your content that make sense for your blog. Before you even open up your measurement tools, you need to know what you’re trying to accomplish so that you know what you need to measure. Don’t just decide that you want to get 10,000 pageviews by the end of the year—because what is that ultimately accomplishing? More advertising or monetization opportunities? Brand partnerships? A tighter-knit community? Knowing how to measure those numbers is useless if you don’t know why you are measuring them in the first place. If you’re not sure how to create these goals, here is an awesome post by Heidi Cohen that will walk you through the different types of goals you can have. 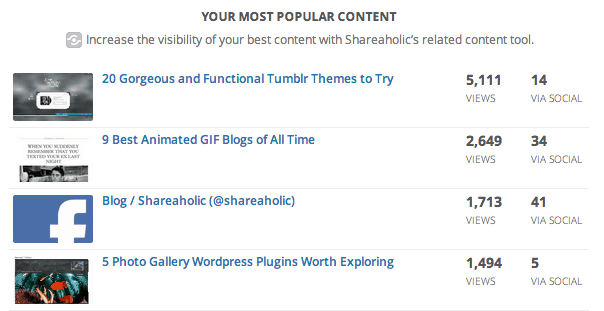 Shareaholic Analytics: I may be a little biased, but I think our Analytics tool is perfect for the beginner blogger. We offer a one-sheet analytics dashboard that gives you information on your top-performing blog posts, traffic source breakdowns and even profiles of influential sharers. If you’re afraid of diving into a data jungle, we’ve got the basic metrics you need all in one place. Google Analytics: If you want to have incredibly detailed analytics, even if they are sometimes overwhelmingly confusing, Google Analytics is your tool. While it has a ton of information at your fingertips to help you track the success of your blog, it can be difficult to navigate when you’re just starting to measure your blog. Feedburner: For understanding your blog subscribers, this a great tool. Though back in September we thought that Feedburner might be shut down, it hasn’t been shut down yet. In Feedburner’s analytics, you can see how many subscribers you have as well as how many people have viewed and clicked on your RSS and email subscriptions, a great way to see how engaged your blog subscribers are. 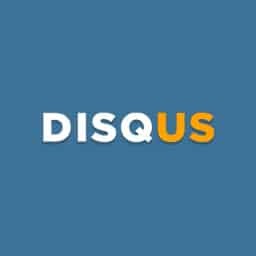 Disqus/Livefyre: To measure engagement on your blog, I’d suggest using one of these tools. Both are commenting systems with social media tracking built in, so you’ll see both the social shares and comments about a post in one place. That being said, the plugin doesn’t always pick up every social share. (You might want to search Topsy and manually count the number of times your community has shared.) The blogging community is out on which of these is best, so it’s up to you to decide which works best for you and your readers. Even with these analytics tools, you may want to keep track of the metrics you’re measuring each week or month in a central location. You can use Excel to create a simple spreadsheet where you record the metrics you’re tracking. 3. Start measuring! No need to delay—start checking your analytics. I personally like to get a general understanding each day of how our content is doing, but only at the end of the week do I record it in our metrics spreadsheet. This way, I can work harder on a specific day to meet our content goals if our numbers are down, but I’m not getting stuck in the weeds each day tracking the analytics. I’d highly suggest checking your metrics once a week as well. What are you waiting for? You know why analytics are important, which metrics you should pay attention to and how to start measuring your content, so get moving! You got this. :) If you have any questions, feel free to ask in the comments below! If you’ve already started measuring your blog’s success with analytics, do you have any tips to add? Share your advice with us in the comments.